Dacia's been a big hit for users of this site, with the Sandero and Duster regularly appearing at the top of our most popular reviews chart. 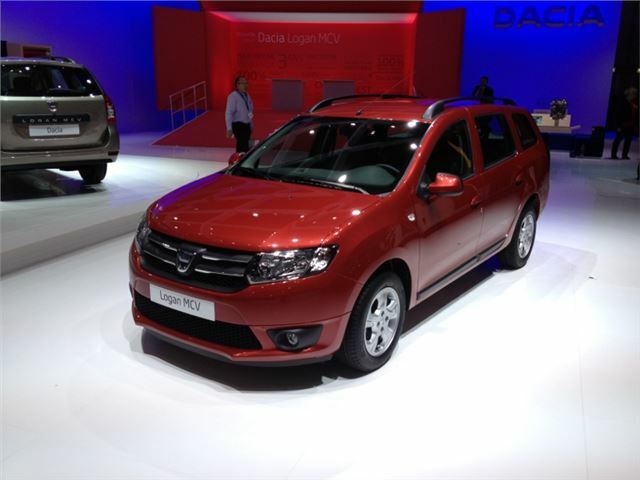 Now, at the Geneva Motor Show, Dacia has announced the Logan MCV and even though there isn't a price for it, the company is calling it 'Britain's most affordable estate'. The UK order books for Logan MCV open in April with first deliveries from July. The Focus-size car is said to be designed for buyers looking for a comfortable, practical, roomy car with modern features. Like the Sandero and Duster, there's likely to be a stripped-out version with no radio and wind-up windows as well as a few versions with a more conventional spec. Never mind the silly little gadgets how much will it cost? I can't see any figures.